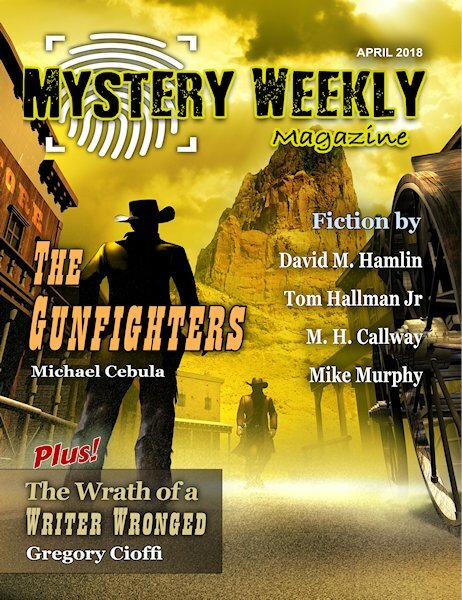 Kindness, by Tom Hallman, Jr.
"Kindness," by Tom Hallman, Jr., in Mystery Weekly Magazine, April 2018. I like surprises. Not in real life, I hasten to add, so put down that seltzer bottle. But surprises in fiction are definitely a good thing. The main reason that this story made my page this week is that twice I thought Well, I see where this is headed, and both times I was wrong. That's nice. Phil's family moved to an inner city neighborhood that is gentrifying. Great house, nice neighbors. But then the old man across the street dies and his house is inherited by a jerk who parties all night The jerk is a huge guy who "reminded me of one of those men featured on cable shows taking viewers inside America's roughtest prisons." When this guy takes an unhealthy interest in Phil's teenage daughter things seem really desperate. But then Phil meets Deke, a motorcyclist and a proud one-percenter. This does not refer to the one-percent who own so much of our country; it's an older term referring to the supposed one percent of motorcyclists who are criminals. Phil helps Deke with a problem. Will Deke help Phil with his? Or, hint hint, will something different happen? By the way, not all surprises are created equal. If a meteor struck the bad guy, that would be surprising but not satisfying. But the twists in this tale are nicely foreshadowed. There is a flaw in the plot (let's just say it's better to be lucky than to plan well), but it didn't stop my enjoying the story. Another complaint, which you've heard me make before. There are not a lot of characters in this story, so why do three of them need to be named Amy, Allison, and Anderson? "The Gunfighters," by Michael Cebula, in Mystery Weekly Magazine, April 2018. 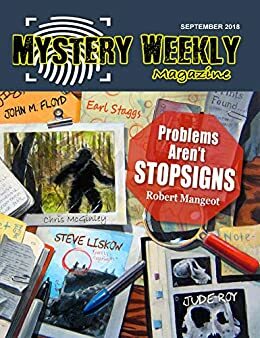 I don't go looking for western stories, because that's not what I'm in the business of reviewing, but this one showed up in Mystery Weekly Magazine, and it has plenty of the right elements. Plus it's a good story. In a cliched western when two gunfighters face off one usually ends up dead and the other unhurt. But as our tale begins the two antagonists are both gut shot and dying. Deadeye Danny is a "a skinny rumor of a man," so narcissistic that he refers to himself by his self-anointed nickname and talks like a character out of a dime novel. Harris is a trick shooter, both laconic and sardonic. At one point he asks the doctor if his wound is going to be fatal. The doctor assures him that it is and begins to explain what damage was done. As the two enemies sit, more or less abandoned, waiting for the end, they try to settle a question: how exactly did they wind up fighting each other in the first place? And there is the mystery, a clever one at that.